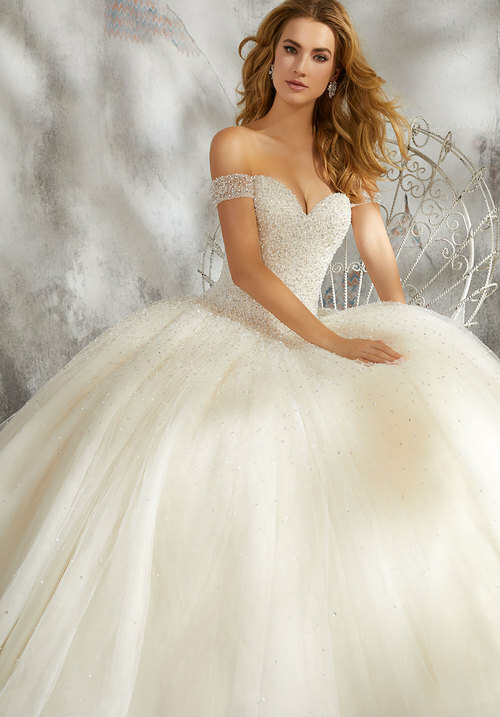 Princess Perfect, this Beautiful Bridal Ballgown Features a Crystal and Pearl Encrusted Bodice on a Full Tulle Skirt. Detachable Beaded Net Sleeves and Covered Buttons Along the Back Complete the Look. Detachable Net Sleeves also Sold Separately as Style 11293.